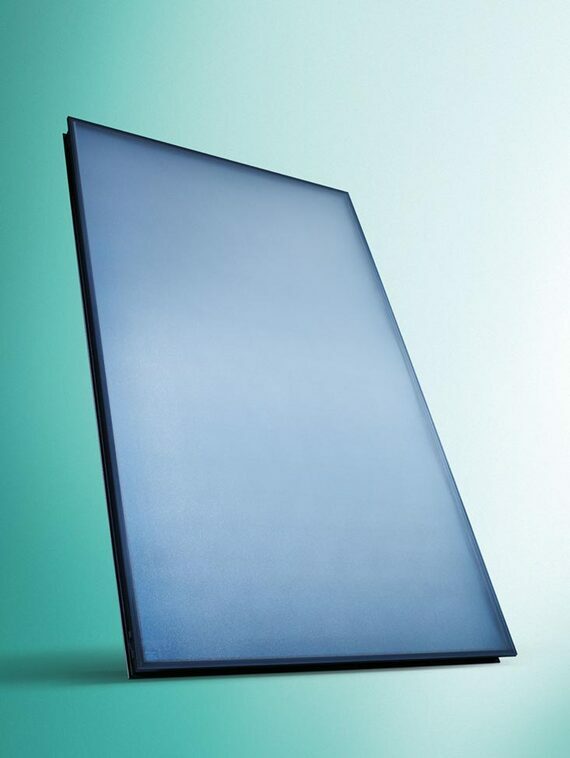 Virtually every Vaillant solar domestic hot water system starts with roof-mounted collectors that heat solar liquid. 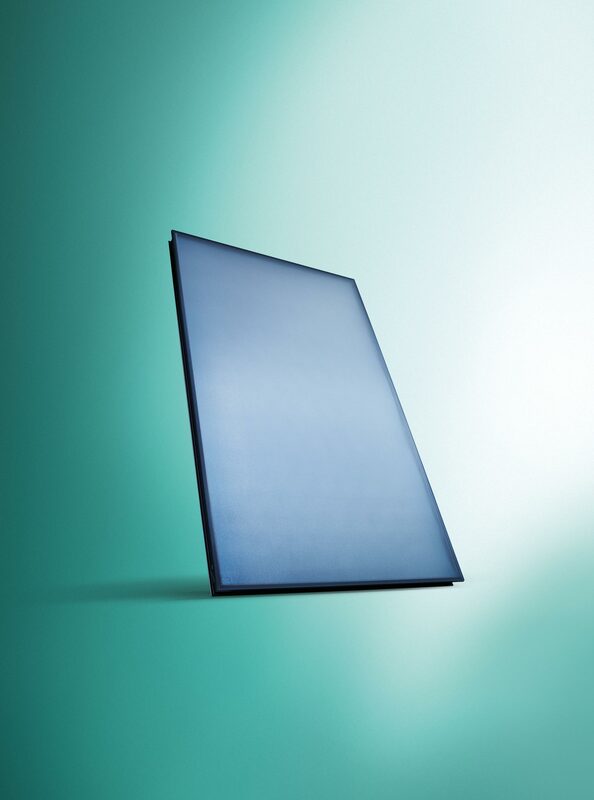 auroTHERM VFK 145 range of flat plate collectors featured toughened 3.2mm solar glass and a simple panel design that can be specified for any on-roof, in-roof or using flat roof configuration. The Duncan Edwards Court social housing unit in Appley Bridge, Wigan is a recent Vaillant renewables project. Ground Heat proposed a Vaillant integrated renewables system consisting of an auroTHERM solar thermal array on the roof and two 22kW geoTHERM ground source heat pumps.